Being a new mother is a big challenge. Even if it is popular, the media and the fan's eyes will be 24 hours a day to see how you think. This is what happens to Kareena Kapoor. Recently, the 36-year-old actress has been busy with her sister Karisma and mother Pipita, while speaking at an interview that she is the biggest challenge to work and life balance. "The Thimmoor child is the biggest challenge"
I always maintain personal and professional life individually. But since Taimoor is still a child, it's a big challenge to keep my personal life. His family was the one who supported this challenge: "My husband Saif (Ali Khan) and my family are my biggest side." He said that such life challenges are strengthening. "I am a multi-faceted woman and I live my whole life with my own self-esteem." We're very proud of being a woman going to work, "says Kareena We're going to come back to Friday with a film called Veer the Wedding. However, Kapoor will continue to act. Kareena's desire is that she can learn to work with women around her. Thimmur will grow in the power of women. "My mother is also a lady who goes to work. My mother and mother are working women. 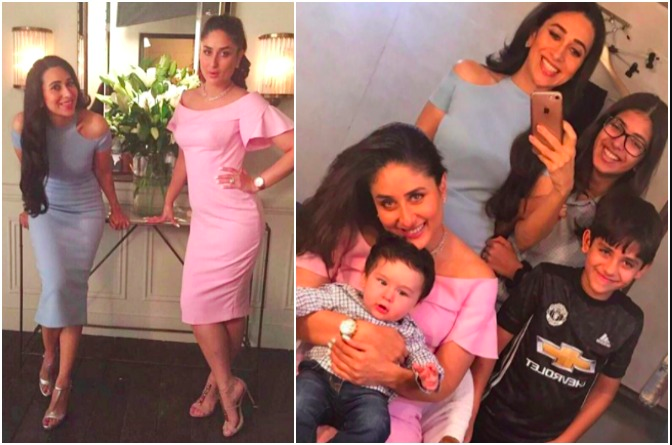 "Seven months from work, she is looking at Ayamma, a working woman," says Kareena. All mothers need the family's love and warmth. "All the new mothers need to be obedient and need their husband's love. Of course, you have to learn some things"
Three : The role model for their children is to teach time tasks, perform tasks simultaneously, and focus on the work of home balancing. Therefore , the importance of going to work for a woman and the task of working for a home. Self- Thinking Children Develop: They feel the importance of being dependent on their own at home and in the offices where the children are able to survive. Such children will later develop independently. Thank you for their mother. Importance of education: Working mothers are excellently educated, educated children grow in the education. Mothers who work to understand the importance of good education.This will give more attention to the child's study.